International law of foreign investment is a field of public international law that has attracted considerable attention from practitioners, academics, and policy-makers in the last two decades. Its key characteristic is the extent of substantive and procedural decentralisation: while often sharing certain structural elements, both substantive obligations and mechanisms of international dispute settlement are mostly opposable only between the particular parties, even when expressed in multilateral form. This makes a clear and comprehensive overview of the topic particularly important. The second edition adopts a new structure that better reflects the concurrence of various reform proposals with the fairly stable stratum of instruments that inform the current practice. With this systemic dynamic in mind, the selected documents are divided into three parts: Past, Present, and Future. The Past sets out the legal background to modern investment protection law. 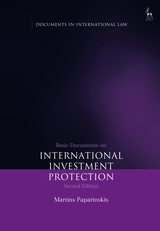 The Present provides generalist international law materials (sources and responsibility), a selection of the more important instruments with substantive investment rules, and rules of international dispute settlement regarding investment protection. The Future (new for the second edition) lists a number of possible directions of future development, including a variety of approaches that maintain the traditional procedural kernel of investor-State arbitration as well as proposals for more significant change, with non-State actor involvement in dispute settlement either rejected or moulded into a judicial mechanism. This highly regarded book is aimed at teachers, students, practitioners, and policymakers in the area. 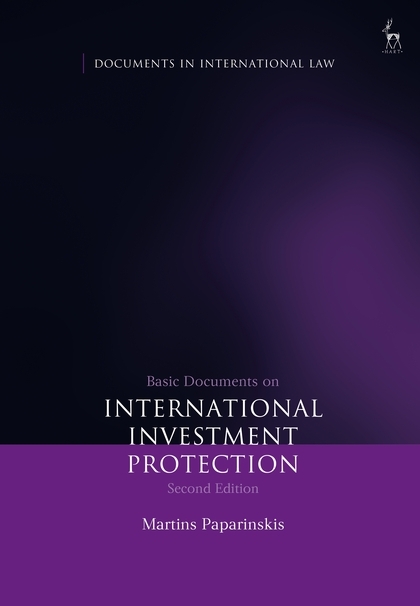 It can be used both as a practitioners' handbook and as a classroom companion for courses on international dispute settlement and investment protection law. This book draws together an eclectic collection of core texts in the field of international investment law. Collated by Dr Martins Paparinskis, a rising scholar of public international law, the book will serve as a helpful compendium and quick reference point for students, academics and practitioners. Dr Martins Paparinskis is Reader in Public International Law at University College London..